The last while I have taken advantage of the opportunity to review the work of other YA fantasy writers offered through YA Bound. This gives me a chance to keep up with the genre I write novels in, and I always learn when I attend to the writing in other people’s work. This is the latest review I did. 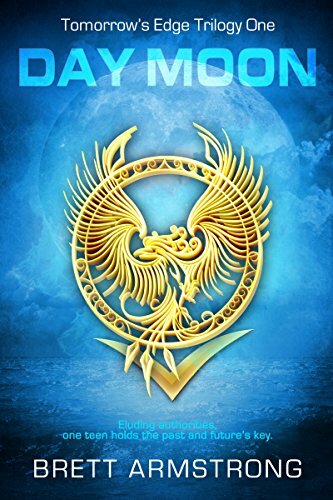 Dragon-fire destroys a town sending its people into poverty and shifting a young girl’s destiny. Hoping for a chance to change their family fortunes, the girl’s father chops off her hair, dresses her as a boy, and renames her ‘Cody.’ Then, he trains her to fight and begins a regimen to strengthen her body. His plan: she will kill a dragon and earn the reward. In A Wild and Unremarkable thing, Jen Castleberry builds a world where everyday life is punctuated by the appearance of dragons once in fifteen years. Called “firescales” in her world, she gives them a careful, intricate life. Crafting a culture around these creatures, Castleberry sets a path for Cody both dangerous and potentially life-changing. The girl in a boy’s role takes on the quest with hope and with courage. Cody shifts her destiny and the fortune of her family, though in the end things do not go quite as planned. After a slow and rambling prologue, Castleberry’s plot runs fast, carrying the reader. The characters are well crafted, and we root for Cody. The texture of the towns and the road is complex and intriguing, with mysteries around the corner in many places. A few of the twists in the plot do not quite follow, and some of Castleberry’s metaphors distract from the story. But Cody’s determination carries the story, even though her destiny is not quite what she, or I as a reader, hoped for. I give the story four stars. As we drove to Ottawa last week, crossing that finger of the Canadian Shield that reaches down toward Kingston, we passed through deep rock cuts. Those who carved the route for the highway opened the rock so we can see the layers of granite. In places, the surface of the bedrock is bare, smooth and round. In others, a thin layer of soil supports grass and small shrubs. Where the bedrock retreats and the soil is deeper, forests of pine and spruce, birch and aspen thrive. On still pools, a layer of yellow leaves covered the water. On larger lakes where the water is always in motion, those leaves had already been pulled beneath the surface, adding to the layer of muck at the base of the lake. Beneath those leaves, amphibians will soon dig themselves shelter from the cold of winter. In downtown Ottawa, we found a mix of high rises and old two and four-story buildings. Passing the office towers, the street is glass and metal. The surface is a mirror that in daylight reflects nearby buildings, giving no clue what is happening inside. After dark, the lights inside open up the view, as if the mirror is pulled away and a window put in its place. The older buildings are brick or stone with the ornamentation popular at the time they were built. Some have the name of the business carved in a lintel above the door. To build the high-rises, many of these had to be torn down, but in places, the older buildings are incorporated into the new structure. The street level tells the older story while the modern building rises above it. eds to provide the kind of back-story Tolkien did, but some pieces of history need to peek through. Otherwise the people seem to exist in a vacuum. When we forget that we are not the first people to walk this land, we create a vacuum. We know descendants of the people who settled our farm, and we hear stories from neighbours about the first settlers. And the land remembers their work. They cleared stones off the fields each time they planted, building up thick rows of rock between the fields. They carefully managed the forest. They built the barn in stages. They built the house in two parts, log first and stone later. The decades they spent farming this place left a story. But before they came, people had hunted here. Where we live is the traditional territory of the Saugeen Ojibway. Metis crossed through this area, and before them the Huron and Haudenosaunee (Iroquois) peoples. The map of roads settlers created mask their routes. New towns and cities hide the older settlements. Plowed and planted fields cover over hunting grounds. But under the layer of our farms is another story. And before the human story of this place was a history of forest with trees and plants, birds and deer and small mammals. Fox and wolf hunted here before humans. A few old trees remain where bedrock is near the surface or deep in the woodlots, reminders of a time when these clear spaces were all forest. We know there was a time before, an age when ice covered this land. We know that granite was pushed from the shield and the shape of the land shifted. The shape of escarpment feels solid, natural, enduring, but there was a different structure here before. Sometimes, we pick up a stone and find the fossil of an old creature, the remains of a being who lived before that rock was shaped. We can touch the image of a creature who swam or crawled or walked here long ago. When we look at our face in the mirror, we can trace our story in the lines, the scars, the wrinkles. When we walk the surface of the land, layers of story are there beneath our feet. Cathy Hird is a farmer, minister, and writer living near Walters Falls. As part of Suzy Vadori’s Blog tour with YA Bound, I offer this review of her new book The West Wood. Boarding school, with its assorted collection of wealthy kids, has the same tensions as any high school, and Vadori deftly describes the daily dilemmas. You can feel why the main character Courtney wants out of there and sympathize with her frustration when her father insists she finish the year. Under her pressure, he agrees that she can go to the local school the next year if she makes an effort to understand what is special about this school. Courtney makes a list of things she can do to prove she tried, including becoming captain of the swim team. While she schemes to make this happen, she takes a dare to race into the forbidden west wood. Stumbling over an indentation in the ground, she finds a buried key, but there is no clue what it opens. Although she is not punished for entering the forbidden area, the craziest teacher at the school begins to press her to tell all she knows. Courtney realizes there are mysteries she has not imagined. When her sister gives her a map that their father had stolen from this teacher when he attended the school, the depth and extent of the mysteries begin to appear. Along with hidden spaces and unusual creatures, the map shows a special well in the west wood. She goes to it and makes a wish. While the wish seems to help her list of goals, it also drives her. She is not herself as the wish becomes more important than anything else. Complications abound. In this work, Vadori succeeds in writing the students so that they are believable, vivid and interesting. We can feel Courtney’s frustrations. The teachers are more caricatures than real people, but are portrayed the way a teen might see them. This strengthens the story for young adults, though limits the potential to cross over to an adult audience. The ending comes quickly with a solution around the corner but not yet in sight. While this is what real life is often like, the finale is more like a snap of the fingers than a satisfying tying up of loose ends. All in all, the characters are worth meeting, and the premise works. I give it 4 stars. In the bright sun and dry air of Burkina Faso, shadows are sharp. Looking down, I saw clear images of what was between the sun and the ground. This was particularly striking when we visited a modern sculpture garden. The stone had been chiseled into enduring shapes while the sun stretched the shadows on the ground. I was struck by the beautiful carved stone, but also by the shadows these sculptures created. The images that day were both transient and permanent marks of an artist’s dream. Life is like that. A person takes an action that affects the world. Matching the intention and the consequences is like the form and the shadow, moving, shifting, sometimes clear and sometimes unexpected. These reflections and images helped to shape the story in my novel, Fractured: When Shadows Arise. In the area where I live, bedrock is fractured limestone. This has the upside of creating amazing escarpment cliffs and the downside of allowing water to flow unfiltered down into the aquafers. Care with what we put into the water system is important in a place like this. But as I watched water find its way down, I imagined what might come up from the depths…. Put together the modern concern with renewable power sources, the landscape of fractured rock, add a touch of Celtic mythology and you have a potentially explosive mix. The main character of my novel Fractured: When Shadows Arise has to find a way to control the rising trouble that her father, an alchemist, has created. Sound interesting? The book is available this August. “I will.” She planned to enjoy this luxury of palace life. “I am prepared to anoint you with scented oil when you are done,” said Mara. Dorlas started to talk. She gained confidence as she described each of the brothers and her one sister, the oldest in the family. Thalassai quickly lost track of the names and who was married or had children, but she let Dorlas talk as she worked. Thalassai leaned back in the water. This was wonderful. Soon, she would wash her hair, and then, when she was thoroughly clean, she would have Dorlas, with her gentle touch, rub scented oil into her skin. After half a moon of adventures, it felt good to be pampered. Wearing a short linen robe and breathing in the rich scent of the oil that Dorlas had rubbed into her skin, Thalassai closed her eyes and enjoyed the feel of the girl’s hands combing out the tangles in her hair. The door to her room swung open, and Mara charged in. “You want me to give ceremonial approval for the agreement he and the king made?” Thalassai almost laughed. Then, she saw in the steward’s face that he was completely serious. Thalassai’s knees buckled, and she sat. The king was ill! Now, she understood the steward’s distress. The emissary would be anxious to depart. Even in well-known waters, the timing of a sea voyage was chosen carefully. She trembled with frustration. She had been relaxing for the first time in half a moon, and now she had to deal with this. Mara returned with a light woolen robe dyed a bright yellow. For once, the unruffled competence of the senior servant was a relief. “Dorlas, a simple braid, please.” She felt the girl hesitate. “You can begin now.” The girl stepped forward and smoothed her hair. Her fingers worked quickly. “But be quick, Princess,” he said. “Asira, the priestess of the goddess.” Thalassai turned her head slowly, so that she did not disturb Dorlas’ work. She met the steward’s eyes. “Send for her at my command. If the king is ill, she will be of service to him.” She waited but the steward did not move. “By the time you have found a servant to send for the priestess, I will be ready.” She made a motion with her hand that she had seen her father give many times, and finally the steward bowed and left the room. “Mara, please. Give me space to think.” While Mara arranged the fold of the robe and used silver spirals to pin the shoulders, Thalassai’s thoughts raced. She wanted to think about the king’s illness, but she pushed that question aside. She ran through what she remembered of the negotiations the night before. She had not paid attention to the final arrangements, but who could have imagined she would be formalizing the agreement? Thalassai stopped her wishing. The steward could handle the details. Her part was to acknowledge the honor Ephyra gained through this cooperation. She played over the language of brothers, the way her father liked to refer to their neighbors. If that reference was unusual here, she could smile and speak of the gifts she brought from the distant south. “You are ready.” Mara said. I don’t feel ready. But it is time. It is also available at the usual places like Smash Words, Google books, Amazon, Barnes and Noble…. Paperbacks are available locally at Forsters Book Garden in Bolton, Great Books in Williamsford, and The Ginger Press in Owen Sound. Or from me and Barnes and Noble. “It is time for you to be angry. He overstepped,” Hades growled. The smile faded from Hades’ lips. Lines of anger formed beside his eyes. “You have been warned.” He stalked away burning the grass as he walked. Zeus watched his back. He would have to pay more attention to the rumours of Poseidon’s antics. And when he learned what tricks the God of Storm planned, perhaps he could drop a hint to one of the younger gods, someone like Apollo. He picked up his sword again and carefully honed his blade to a killing edge. To find out what Poseidon has planned, check out the novel Before the New Moon Rises. And if you want to read about how his first plans were dealt with, you can pick up Moon of the Goddess, the first book in this duo.